There are some symbolic decor ideas for every season, event or festival like Christmas trees for Christmas, flower and leafy things for fall and so are the snow globes for the winters or any event occurring in winter. And you don’t have to visit a market to purchase a fancy yet high cost snow globes for your shelves, tables or mantles as you can make them home yourself with the home supplies. 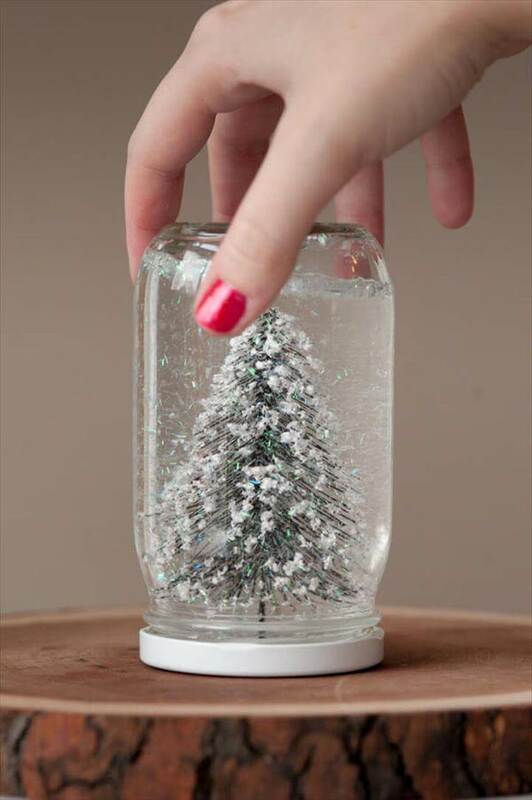 We have searched the internet for hours to bring the best handmade snow globe ideas for you right here at one platform. 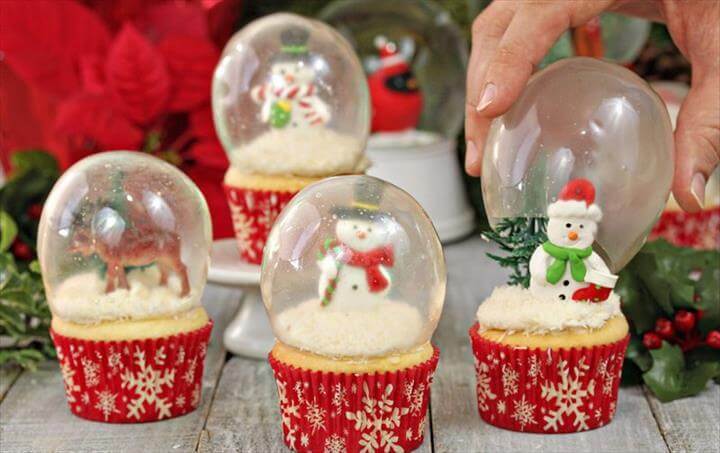 So have a look at all these adorable and lovely 14 handmade snow globe ideas and tutorials. You can choose the weekend days to make these immensely cute snow globe decor pieces so that your kids can also join you in this fun session of home craft and spend some quality time with you. 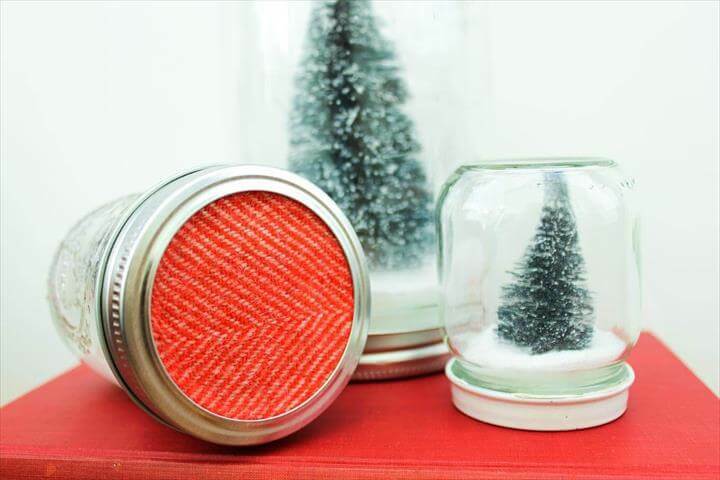 You can use old fish bowls, mason jars, salt and pepper containers and even the cup cakes to make these delightful and drool worthy snow globe pieces. 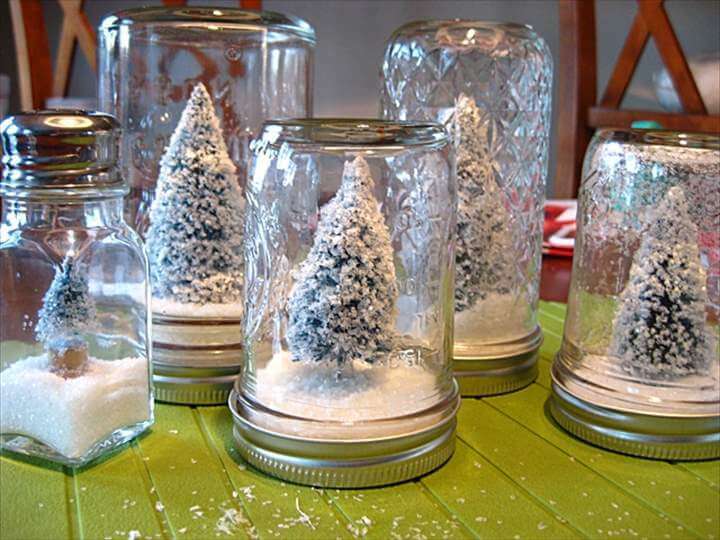 Slat and cotton can be poured inside the glass container to give the snow illusion and the fascination can be added with tiny toy snow men, brush trees and cars. These exquisite snow globes would look nothing like a piece of your imaginary world when displayed in your homey sections especially in your living and kid’s room.